The first time Ehtesham and Amna met was at the Dubai Airport. 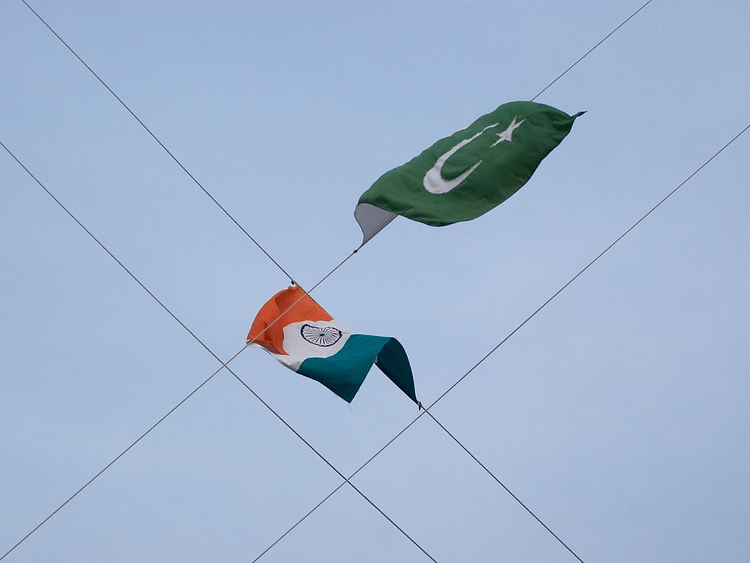 As the border was built barbed wire by barbed wire in 1947, so have hostilities in India and Pakistan. It’s become an inherent element, the lack of trust fortified by ignorance and grounded by the shared grief of a combined bloody legacy. Yes, the partition was hard on everyone - and 71 years later old wounds can still hurt. Still, there is something joyful in sitting with someone who shares your belief systems, no matter where they stand when the walls go up. And so correspondence was between India-born Ehtesham Shahid and Pakistan-born Amna Khaishgi, who came to know each other through their work. A friendship was blossomed over time but meeting needed real planning. The first time Ehtesham and Amna met was at the Dubai Airport. She was on her way from Karachi to Colombo for a conference. He was posted to Riyadh and had flown down. It was a one-and-a-half hour meet-up. “Dubai has been playing cupid for a long time for us,” laughs Ehtesham, recalling the day. They married soon after and moved to the UAE - close enough to visit home every so often, far enough to gain perspective and find common ground. “Yes, it probably gets more political with India and Pakistan, but as far as cultural differences goes - any marriage between two different cultures is accommodation and emancipation and all of that,” says Ehtesham, adding that he has often found that even within India people from different areas have very different outlooks and ways of living. He says Dubai, where the couple has lived for nearly 15 years, breeds emancipation. “I feel Dubai becomes an interesting amalgamation for the simple reason that there are - it’s not just a place where the union of Indians and Pakistanis happens but also a lot of Syrians and Palestinians and Jordanians and all kinds of cultures come here and melt into another - which is so great to see,” he adds. There have been things which a cross-border visit have taught him, including, “I thought there are few Indo-Pak couples living in Karachi but then there are so many,” he says. Similarly, when his drama troupe, which performed a story based on the couple called Mian Biwi aur Wagah went to New Delhi, they found common ground in food. Relationships begin in Dubai - not just a transit hub - but also the place where the walls come down, the barbed wire is put away and friendships and relationships are forged with all the strength diversity can give us.